Does New York City Need More Taxis? 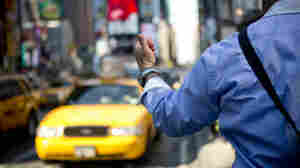 July 31, 2012  The City of New York wants to add 2,000 more taxi cabs onto Manhattan's streets. That would make it easier to hail a cab, but it might make it harder to get where you're going. October 13, 2008  In his new book Toward the Setting Sun, historian David Boyle sheds light on new discoveries about some of the world's most famous explorers.